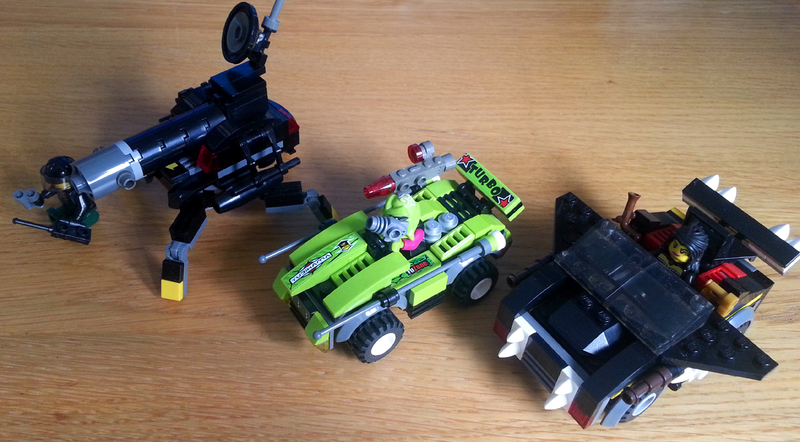 Hey guys, here’s a dump of my Lego creations from the last few weeks. I’ve been making a lot of vehicles lately. Themed cars are fun to do – I’ll probably make more of these and pretend they’re playing Mario Kart or something. 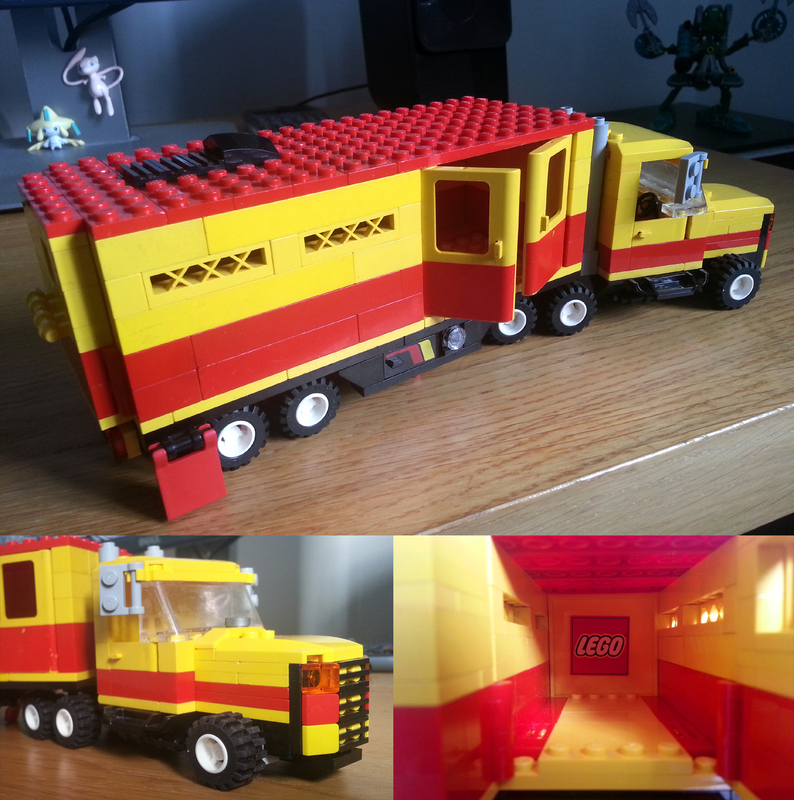 This truck came about because I simply wanted to use the yellow and red door pieces. It’s a retro-looking design with a few modern features too. 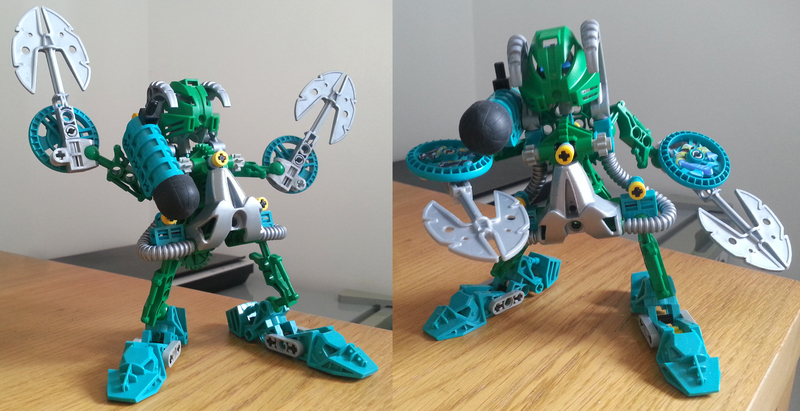 And here’s another Bionicle guy! I guess he can be called Swamp, since I did Jungle earlier. He’s got a shoulder-mounted cannon which he can aim, and that’s all he does, really. This entry was posted in Lego on November 16, 2018 by Matt Roszak. Hey, Matt. Could you check out my deviantart? It’s called OnlyNo-LegsMemes. 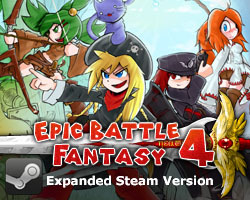 I make memes using only the emoticons from EBF 5, and some from Bullet Heaven 2. There’s not much up there yet, but I would be really happy if you saw it. I’m a huge fan! Is 20 buks. You could find that somewhere. That’s pretty cool. I used to build with the large block legos a lot when I was younger. I frequently tried to make blocky arwings from StarFox. What is Swamp doing in the second picture? The only thing he can do. 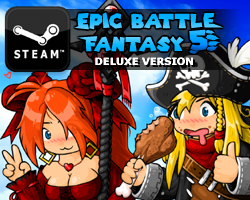 IS that the Final Fantasy X Machina Magic Blocker there? Niiiice.